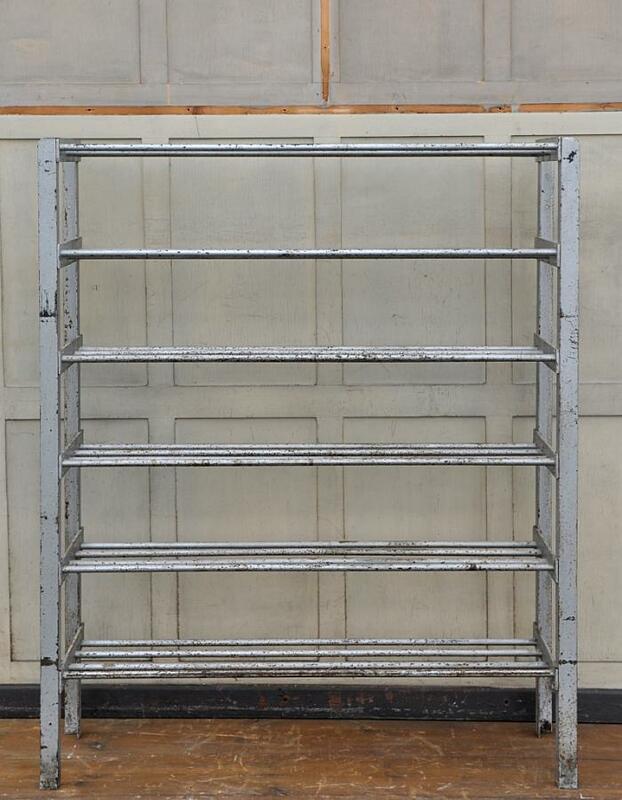 A large vintage iron industrial shoe rack solidly built with six shelves of iron bars rivetted into steel supports.Estimate 1940s/1950s period.The supports are marked British Steel in a couple of places along with possibly the makers name. 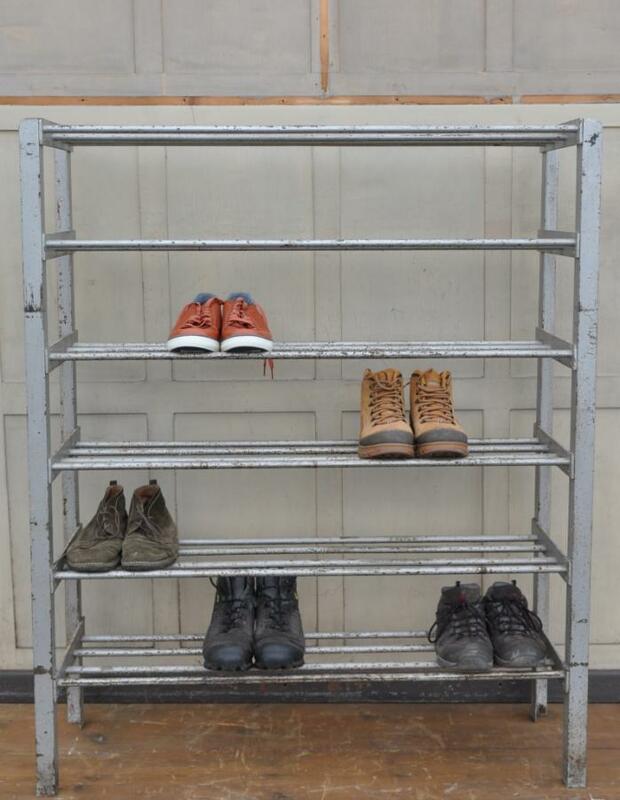 The front bar on each shelf is higher than the others to accommodate the curve in the sole of the shoes.Finished in original paint. 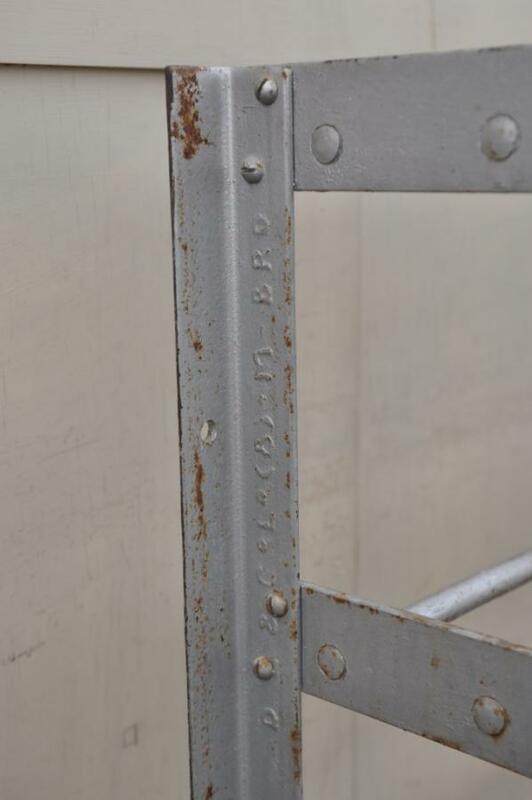 Dimensions in inches/cms; 54.75/139 high x 45/114.5 wide x 13/33 deep.